The lush forests, stunning landscape, pleasant climate and amazing wildlife of New Zealand attract tourists from various parts of the world. Many tourists also love to participate in a variety of outdoor activities to make their holiday more exciting. You can always consider hiring a campervan to explore diverse physical, cultural, and artistic landscapes of the country. Some of the most popular tourist destinations in New Zealand can be reached easily from Christchurch in the South Island. You also have option to hire the campervan from several campervan hire New Zealand companies according to your holiday plan and schedule. However, you must consider some simple factors to make your road trip more comfortable by hiring the right motorhome. It is always important to choose a campervan that you can drive comfortably. At the same time, the motorhome must be well designed and fully equipped to make your stay and camping expedition pleasant. There are always chances that you may find it a daunting challenge to drive a larger vehicle comfortably. So you have to opt for a campervan that can be driven without any hassle. While comparing the campervans, you must opt for a brand new motorhome with all bells and whistles. There are also many reputable campervan hire companies like Camperco that provide campervans that are clean, comfortable, well designed and fully equipped. You also need to concentrate on the campervan size or berths. 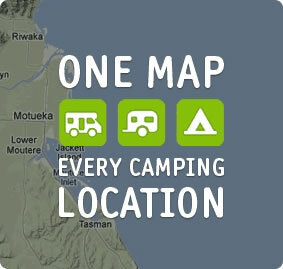 Normally, the campervan hire New Zealand companies allow you to choose from 2-6 berth campers. So you can easily decide the size of the motorhome according to the size of your group. But it is also important to check the passenger seating arrangements. During a long drive, your family or friends may not sit comfortably in a campervan with a single lap belt on the 90″ back seat. Likewise, you need to ensure that each passenger seat has a 3-point seat belt, if you are travelling with kids.